San Francisco, 2001. A week before 9/11. 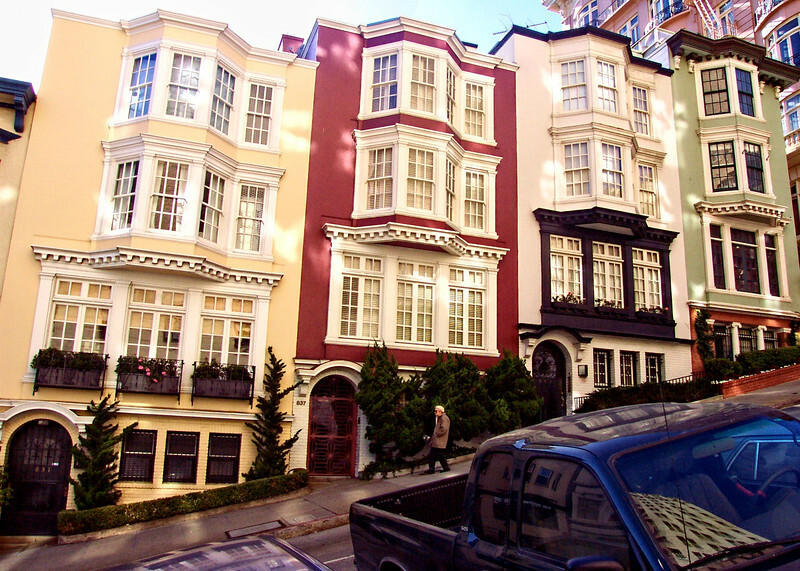 I’m walking up towards Lombard Street, where I didn’t get any shots I liked, but stopped to take this along the way. I’m very fond of this photo. It was the perfect time of day for it. The sun was starting to drop in the sky, but it was still completely daylight. The speckled light effect you see comes from the sunlight bouncing off the building behind me as I was taking the photo. You can see that building reflected in the windshield of the blue pickup truck in the foreground. I took the photo using my first digital camera, a Kodak DC 4800 point-and-shoot with 3x optical zoom and 3 megapixel sensor. The best camera is the one you have with you.